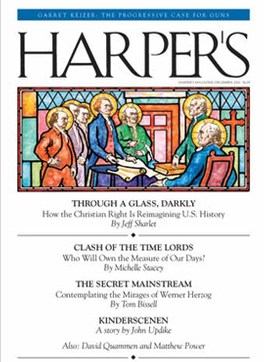 Harper's magazine offers original journalism, Harper's Index, Readings, Forum, Folio, and Annotatio, and award-winning essays, fiction, and reporting to inform readers on political, literary, cultural, and scientific affairs. For international titles please allow up to 10-13 weeks for your first delivery. Please note this magazine will be a current issue at the time.